We've packed a lot into this month's newsletter to make sure there's something for everyone! First, no cosigner international student loans are bound to create a buzz - we've partnered with MPower Financing to make them available on International Student Loan on a still quite limited basis. We're also offering our popular healthcare and mental health videos for use at upcoming international student orientations. Next, through our partnership with CollegeWeekLive we're delighted to announce the first virtual fair specifically for ESL schools, through the just re-launched ESLDirectory.com. Finally, we take a look at how the for-profit sector is faring in international education. International Student Loan is delighted to announce a no cosigner international student loan for students at select schools, in partnership with MPower Financing. Conventional international student loans require a US cosigner, as international applicants have no US financial history for the loan company to review and approve. With the no cosigner loan, the application is reviewed not for credit history of a cosigner, but for future potential creditworthiness of the applicant herself. So instead of looking at credit scores, the lender looks at what school the applicant attends, whether they are a graduate or undergraduate, academic performance and other indicators of future success. The no cosigner loan is not for everyone. It’s fixed rates are between 7.99% and 13.99%, competitive but a bit higher than conventional co-signer loans; and the approved school list is still relatively small. But for graduate students and undergraduates within two years of graduation at select schools, who cannot find a cosigner or would prefer to leave family and friends out of their financial life, it’s an exciting new option. Read our blog post for more information and to test whether your school is eligible for the no cosigner international student loan. Make your student insurance orientations this year a little more interesting, and add some video content! 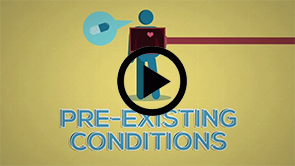 We have a range of videos that are specifically designed to help international students understand the healthcare system in the USA, and other important topics. Our two most popular videos “Understanding the US Healthcare System” and “Mental Health Awareness for International Students” deal with important topics in a fun, and easy to understand way. We are pleased to announce the relaunch of our English as a second language site, ESLdirectory.com! With the new global program search and responsive design, students can search by program focus, location, cost, length and even housing options, from computer, tablet or phone. As always, basic listings are free for any ESL program around the world. If you haven’t taken advantage of the free advertising available to your school, make sure you sign up right away! Finally, we’re delighted to announce our partnership with CollegeWeekLive, that will use their virtual fair environment for an ESLDirectory Virtual Fair. Held this September, this is the first ESL-only virtual fair, where thousands of English language learners can sign up and visit your school’s virtual booth to learn more about your offerings and enroll. Contact us to learn more about the ESLDirectory Virtual Fair, Featured School and other advertising options. The hits keep coming! 2015 was tough enough on the for-profit education sector with Corinthian closing 28 campuses affecting over 16,000 students, but 2016 has proven to be even worse for the beaten down sector. With new regulations and questions about the leading accreditation agency hampering their domestic efforts, for-profit schools will continue to grow their international presence.